In Chapter Three of Classic of Tea (Cha Jing 茶经), Lu Yu talks about the making of tea, and we discover that tea in those days came almost exclusively in the form of cakes. Cakes were preferred because they kept their fragrance well and they were easy to transport. Lu Yu records that tea picking usually occurred during the second to the fourth lunar calendar months (i.e. March through May). He likens the tender tea buds to young bamboo shoots. He beautifully describes the tea plants growing from rich, loose, gravelly soil and producing tender shoots 4 to 5 “cun” (寸. 1 cun is 3.3cm) in length resembling just-sprouting “wei jue” (薇蕨). Wei jue is a perennial vegetable commonly found in the wild and is often referred to in classical texts which Lu Yu will have read, such as “Xiao Ya” (小雅), the “Minor Odes of the Kingdom” poems, part of the Five Classics – 305 poems and songs some dating back possibly as early as 1000 B.C. Lu Yu says the best tea buds are the smaller ones, harvested just after dawn when they are still lightly covered in morning dew. The wild tea plants may grow amongst other wild plants and may have 3 to 5 sub-shoots, and one needs to pick the sturdiest and lushest of the shoots. There are many forms compressed tea cakes can take. Lu Yu says some look rather like the deeply creased leather boots worn by the Hu (胡) people (a Tartar/Mongol ethnic group) while others resemble the breastbone of wild bulls covered with neat little folds. Some are pellets – like clouds amongst the mountain tops – while others have very light ripples on their surface, as when a light breeze gently rouses the surface of some water. Some are like prepared clay that is ready for shaping. Some are like a piece of land that has just been ploughed or like earth has been thoroughly washed and uneven after a heavy storm. All these, Lu Yu says, are the ‘best of the best’ teas. Tea cakes may be shaped like the dried outer layers of bamboo shoots, with tough branches and stems, resembling a bamboo sieve, which makes it very difficult to crush the tea for brewing. Some are like frostbitten mint leaves, all withered and damaged. These are signs that the cakes are made from old tea leaves and are of low quality. 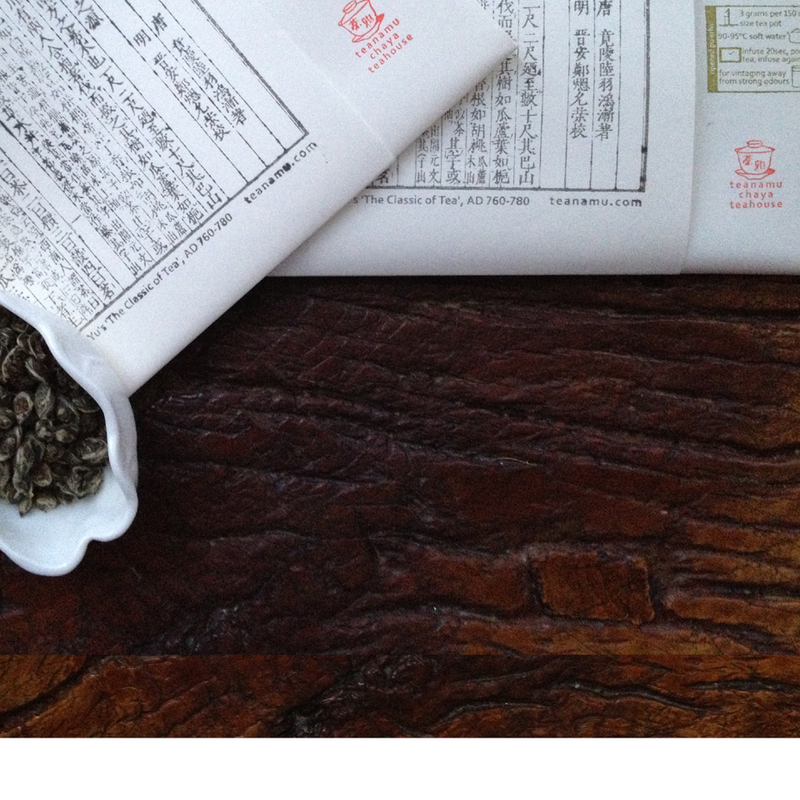 There are 7 processing steps from the picking of the tea leaves to sealing the tea for sale. Lu Yu writes that there are 8 grades of tea, from the tea cakes shaped like creased leather boots to those that look like frostbitten mint leaves. Lu Yu says the crudest way tea is sometimes assessed is by looking for a black lustre and homogenous texture. An acceptable, less crude method is to look for a yellowish, quite compact, not too even quality. But the best approach to assessing a tea cake is when you can look at it and discern both the good and the bad points. Tea is just like any other kind of plant, says Lu Yu. Its lustre may simply mean that the the tea sap or juice has been squeezed out, not that the tea is of good quality. Compactedness may just mean that the juices are not yet squeezed out but remain in the tea. Blackness can just indicate that the tea has been made overnight. Tea made from leaves that have been picked during the day would look yellowish. Homogeneity can simply be the sign that the tea has been tightly pressed after steaming. Tea cakes that have an uneven surface means that the leaves have not been well pressed but left to retain their natural uneven characteristic. It is clear that Lu Yu thinks that tea cakes should be made from tender leaves. Good tea cakes should not have lost too much of the precious sap and the only way to achieve that by applying the right amount of pressure to form the tea cake. 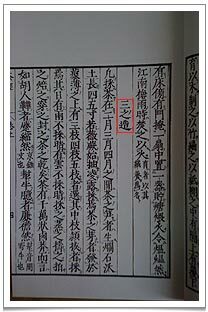 Lu Yu ends the chapter by saying that assessing tea cakes has its particular set of rules which can be handed down through a set of mottos and precepts. I think Lu Yu is trying to dispel myths that may exist in his readers’ minds when they select teas. He teaches us to understand that tea leaves are just like any natural vegetation and, in order to tell the quality of particular teas, one needs to really, intimately understand tea processing techniques and how they affect the leaves. Even now, it’s still true that there are loads of myths about tea quality. For example, most Chinese people think that green tea leaves such as Dragonwell (Long Jing) are best when they exhibit a fabulous jade green lustre and are homogenous in shape. However, the best quality Dragonwell actually has a dull yellowish hue and is not necessarily homogenous in shape. We are after all looking for a natural item that is never going to be uniform in colour or shape. This is part of what makes it very precious, unlike commercially prepared blended teas made to taste the same regardless of the year or month of harvest.